2019 January 15: Giveaway Opportunity! 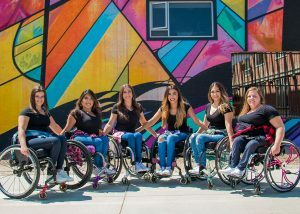 Festival of Human Abilities January 26-27, 2019 celebrating the creative abilities of people with disabilities at The Aquarium of the Pacific Giveaway Opportunity! Celebrate the talents and creativity of people with disabilities at the Aquarium on the weekend of Jan. 26-27, and enjoy live music, dance, art, and demonstrations. At the Festival of Human Abilities, visitors can watch performances and learn unique adaptive skills taught by artists and other experts with disabilities. Featured at the festival are hip-hop wheelchair dancers, a sign language choir, a singer who is blind and has autism, a guitarist who is blind, and other inspiring performing artists. HONOREE: The Aquarium will present the Glenn McIntyre Heritage Award to Dat Nguyen on Saturday, January 26, at 3:10 p.m. Nguyen is the co-founder of a nonprofit organization focused on the Vietnamese community and dedicated to raising awareness of the capabilities of people with disabilities. A musician who is blind, Nguyen is a founding participant in and helped create the Festival of Human Abilities. WHEN: Saturday and Sunday, January 26-27, 2018, 9:00 a.m.-5:00 p.m. COST: $29.95 adult (12+), $26.95 senior (62+), $17.95 child (3-11), and free to kids age three and under and members. SPONSOR: Courtyard Marriott Long Beach Downtown. We have teamed up for a Giveaway! One winner will win a family 4 pack of tickets! Tickets are good for one day only. To enter leave us a comment below! One winner will randomly be selected. Deadline to enter is January 22nd, 2019 at noon PST. Credit: Aquarium of the Pacific. SoCal City Kids will randomly select a winner for the giveaway. Playing with your dog is important for its well being. In fact, studies show that dogs who don’t engage in a lot of play or physical activity are more likely to develop anxiety and aggression. Dogs love to play around and have fun and as pet owners, we should indulge them in their happiness. 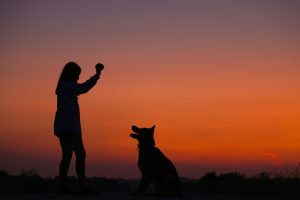 How often you play with your dog affects its quality of life. Some owners spend time playing six times a day, while some three times, and yet some just once a day. Raising a well balanced dog means allowing them to socialize with other dogs and learn basic manners. Puppies learn proper manners through playing, as they’re likely to get nipped when they act inappropriately around other dogs. If you’re looking for ways to keep your dogs busy even indoors and also to relieve their boredom, you’ve come to the right place. There are many ways to play with your dogs even if you think you don’t have enough time for it. Read on to explore 3 ways to improve your play time with your furry friend. Dogs like engaging in mentally stimulating activities. Playing games with them not only helps them become more physically fit, it also improves their mental capacity. Invest in Nina Ottosson toys and upgrade your usual game of fetch and try to explore other activities that stimulate the brain. For instance, you can do a treasure hunt with your dog. This helps him use his nose and teach him to use all his other senses in order to recover a hidden treasure. Start simple by putting your dog in a sit-stay position and letting him watch you hide a treat or a toy. Then on cue, let him go and look for it. Don’t forget to reward him for finding the treasure! Another game you could play is Hide and Go Seek. It’s an exciting game that’s similar to treasure hunting, except that you’re the treasure! You would need at least two people for this. One who will hide (that’s you!) and one to instruct your dog to sit-stay and give the cue to begin searching for you. It’s a wonderful way to spend time with your dog and this can be played both indoors and outdoors too. Not every dog enjoys going to dog parks, but it’s good to try at least once if you’re looking for something to do outdoors with your dog. Parks are good for dog to dog social interaction. It’s also helpful in introducing your dogs to other people and making him more comfortable around them. Parks are designed for dogs to enjoy so there are sure to be many types of equipment that would allow them to play and run around such as hoops, slides, agility walk sets, and jump bars. Walking or running with your dog is not only good for you, but it’s also good for your pet. Dogs are wonderful companions and they’re usually content with whatever their owners are doing. Whether you’re just lying down on the couch, or going for a road trip, they’re happy wherever you are. And that’s exactly why they make the best fitness companion. They’re a great excuse for you to get out and do some exercise. Walking them out in the neighborhood is a good physical activity for the both of you. It doesn’t have to be extreme, and of course, you have to adjust your regimen too. But a couple of minutes out brisk walking already has several advantages to your health. Don’t miss this chance to stay fit!